Isn’t it ironic how wearing masks can actually help to bring out and enhance our true selves? By ‘masks’ we mean face masks, and when we say ‘our true selves’ we are clearly referring to our beautiful glowing skin! Face masks are truly the hidden gems of the beauty world that give us great-looking and better-feeling skin. 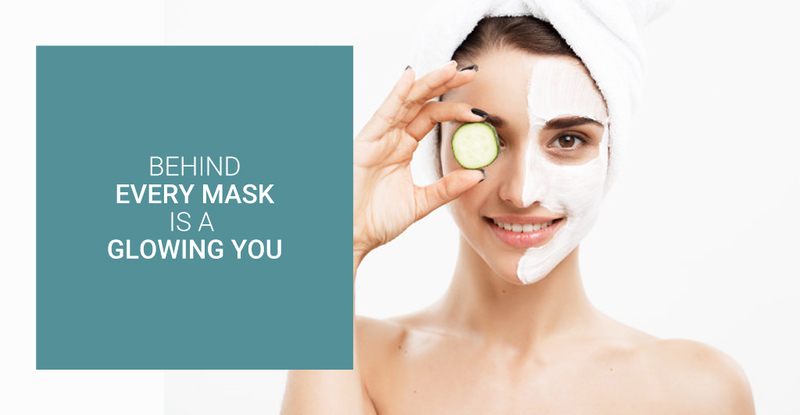 Unfortunately, many people overlook the importance of regularly incorporating face masks into their beauty regimens, which is essential for providing their skin that quick nourishing boost that it needs. Daily cleansing with your favorite face wash might help to remove surface level dirt, oil and makeup – but did you know that we have impurities hiding below the top layers of our skin? Utilising the right face mask will help to cleanse skin below the surface by drawing out these contaminants, and removing excess oil and dead skin cells that clog the pores. Regular use will result in cleaner, fresher looking skin and a vast improvement in the appearance of your pores. Dehydrated skin is a very common issue for many, so choosing a hydrating face mask can help to swiftly provide the deeper layers of our skin with the moisture and nutrients that it needs. This also helps to ensure that our skin maintains its elasticity and that it continues to glow with gorgeous youthfulness. Many face masks are designed to stimulate blood circulation which helps to increase oxygen flow to our skin cells. This, in turn, assists in evening out our skin tone and diminishing any hyperpigmentation. Regular mask use will result in healthier and smoother-looking skin. Although we cannot prevent our skin from ageing, regularly using face masks can help to reduce the development of fine lines and improve the appearance of sagging skin. Some face masks contain certain ingredients that help to increase collagen production and assist in fighting off damage caused by free radicals. Including these masks into your regimen will result in tighter and younger-looking skin. Many face masks are designed with ingredients that target and improve specific problematic skin conditions. For example, certain masks contain salicylic acid; which helps in resolving and diminishing the development of acne, while others may contain niacinamide; which helps to improve the effects of rosacea. These masks are usually far more potent than daily creams and ointments, so they tend to work faster and more efficiently with continued usage. On top of all these benefits, face masks are extremely therapeutic. Especially when enhanced with aromatic essential oils like rosemary or mint, a face mask can calm and lift our spirits by stimulating our senses. We all know that there are many different kinds of masks out there, and they are each catered to a variety of skin types, conditions, and more. You may even have combination skin, which is the most common type of skin people have! 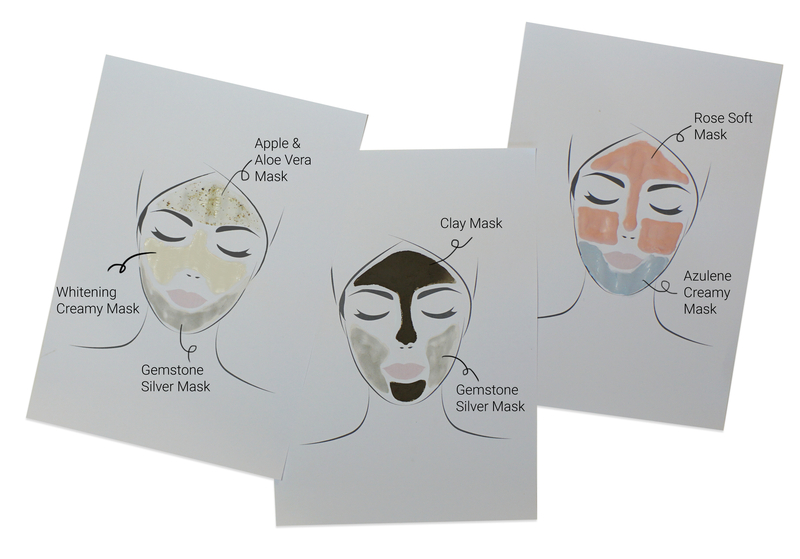 Which face mask should you use then? Thankfully, we at Renaza completely understand how daunting it can be to find the right face mask! So, we have designed a unique mask customisation system, which allows each area of your facial zone to be specially treated with ingredients that target your concerns for those particular areas. This new technique allows for an effective and efficient treatment that addresses varying skin conditions all in one facial! Check out our Multi-Masking page to learn more & book your appointment now!